2 Beds 3 Baths 1 Partial Bath 1,495 Sq. ft.
Builders model townhome in Gilberts Town Center. 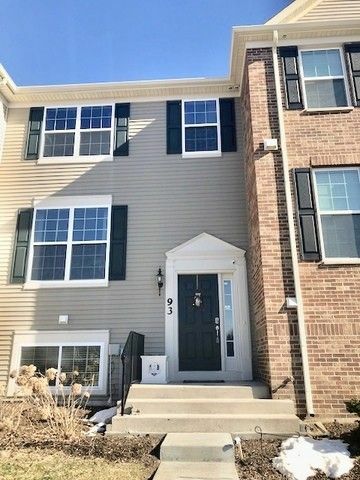 Great opportunity to own this Foxhall model that features stunning hardwood floors, upgraded kitchen cabinets, stainless steel appliances in the oversized kitchen with breakfast area! Expanded exterior deck! 2 bedrooms, Walk-in master closet! 2-1/2 baths! 9' first floor ceilings! Finished lower level family room! 2 car garage and Easy access to I-90! Urban style living in a great subdivision. At this price it will not last long. Directions: Rt 72 West of Ramdall Rd to Tyrrell Rd North to Town Center Blvd East to Valencia Pkwy.